UMass' game notes for William and Mary in pdf and html. The UMass depth chart is on page 6. The o-line does not match yesterday's article by the Springfield Republican, but game notes often don't match the actual game starters in my experience. By my count, 17 Red Shirt Freshman or true Freshman on the two-deep chart. UMass beat writer Matty Vautour takes a look at the CAA in 2010. Tribe HC Jimmye Laycock has named SR QB Mike Callahan as starting QB. More from William and Mary's student paper. Matty Vautour says it was a surprise. Jeff Sagarin's NCAA football ratings are out. He rates the CAA ahead of two FBS/I-a conferences : the Sunbelt and MAC. UMass is rated #98 in overall standings. Craig Haley of The Sporting News previews the Ancient Eight. The Dallas Cowboys released former UNH star Scott Sicko. The MGoBlog looks at Michigan's secondary and "while mournfully contemplating everything from Mike Floyd to whatever 5'8" guy UMass will throw out there this year." Back on August 24th the Wiz of Odds Blog had this to say about the Wolverines secondary:"Trouble is brewing in the Wolverine secondary. It started with All-Big Ten selection Donovan Warren leaving for the NFL after his junior season. Prized but troubled defensive back Demar Dorsey was signed to a letter of intent in February, but was denied entrance into the school. Boubacar Cissoko, who started four games in 2009, is now serving time in the real Big House for his role in multiple robberies. Adrian Witty, a prized recruit in 2009, didn't qualify academically. J.T. Turner, another high-profile recruit, was granted his release and is looking to transfer. Senior Troy Woolfolk, the backfield's most experienced player, is lost for the season after injuring his lower right leg. That leaves redshirt sophomore cornerback J.T. Floyd as the only player who has started in college. If you're name is Rich Rodriguez, 8-16 after two seasons as coach, there is reason for concern." UMass is recruiting Eric McGlone a 6-3 215 pd LB from East Lyme, CT. The Norwich Bulletin has the story here. This article also mentions him. McGlone holds an offer from Central Connecticut. UConn, Syracuse, Tulane and UNH are also interested. Image by Aaron Flaum/Norwich Bulletin. Matty Vautour has a story about former UMass star Sean Small's attempt at a comeback from a severe injury. He covers Kyle Harrington's bid for a position on the same team. The Boston Herald says in 2007, UMass was one of BC's toughest victories. The Miami Herald has an article that talks about Spencer Whipple playing for his father at the "U". Victor Cruz has his own NFL highlight reel. He's also the Giants leading receiver in preseason camp. The Philadelphia Inquirer says Villanova's Ben Ijalana is the best FCS NFL prospect this year. The Sports Network previews two more FCS leagues: the Northeast Conference and the Great West. Re-starting the UMass player countdown is #18, Tom Gilson a 6-3 210 RS JR WR from Mansfield, MA. Gilson played in six games in 2009. No stats. MassLive.com article by Ron Chimelis looks at the 2010 UMass offensive line. Some surprises there. 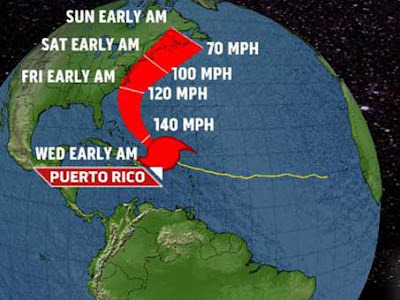 The line is collectively 32 feet 2 inches tall and weighs 1541 pds. That's an average of 6-5.2 and 308.2 pounds. The Boston Globe has a story that features UMass Captain Emil Igwenagu. The Worcester Telegram has a story on some of the Central Massachusetts players on this year's Minutemen Team. AnnArbor.com says UMass is the easiest game on the Wolverines schedule. ProJo.com has an article about former UMass QB Liam Coen. ESPN Boston has an article on Holy Name High School (mentions a number of current UMass Football players). Octavious Hawkins went 18-23 for 207 yards and 2TD's in Winston-Salem's opening rout of Virginia Union. The first 5,000 fans for the William & Mary game at McGuirk will receive a 2010 UMass football poster. Victor Cruz led the Giants with 4 catches 76 yards 1 TD against the Ravens Saturday night. From the Giants game notes:"Victor Cruz had another play for the highlight shows, reaching out to catch a pass from Bomar that gained 35 yards." Yesterday's CAA training camp blog. Victor Cruz gets a mention in this DallasCowboys.com article. The CAA website previews the James Madison Dukes. More updates from William & Mary's training camp. The Sports Network previews the Northeast Conference and the Pioneer league. Delaware, which had avoided FBS/I-A games in the past, last year signed a series with Navy. Now they've added Pitt in 2014 and 2019. The UNH suffered injuries to QB R.J Tolman and WR Mickey Mangieri in Thursday's scrimmage. Mangieri's injury was so severe the Wildcats ended the scrimmage. More in this article. Another article here. MGoBlog has a post on the flyover schedule for Michigan. Hey, John McCutcheon, how about having a couple of F16's from the 104th Fighter Wing at Barnes go barreling over McGuirk just before kickoff? A Blog reader has pointed out that the 104th flies F15's not F16's. Sorry about that. Many Guard units flew F16's for years. YouTube F15 vs F16 dogfight in Hi-def. UMass LB and Captain Tyler Holmes says camp has been a success. The article reports Coach Morris stated true freshman Antoine Tharpe and Stanley Andre have been impressive. The UMass website has the dates and times of the 2010 UMass Football Weekly show with Coach Morris. This article from the Boston Globe has an interview with 2010 UMass recruit Mike Delaney. The Cape Cod times mentions UMass DT Bob McLaughlin. The Worcester Telegram notes Rams coach Steve Spagnuolo coached at UMass. The TV announcers did the same thing last night during the game. William & Mary will announce their starting QB Monday. Craig Haley of The Sports Network previews the Patriot League -------and picks this year's OOC opponent Holy Cross fourth. Haley's "In the FCS Huddle" column covers two FCS players, Grambling's Christian Anthony and Princeton's Jorden Culbreath, who have other things to think about than football. The CAA has updated their TV schedule. The CAA blogger has the Delaware preview. Yesterday's CAA preseason training camp update. Penn State's Daily Collegian has a lengthy article about former Nittany Lion and current Delaware QB Pat Devlin. Good Morning from the UMass Football Blog's home base in Jaffey, NH. The UMass website has a report from UMass' last day of training camp. MassLive adds another story about UMass' digital TV deal with CBS3. UMass beat reporter Matty Vautour wants to know if you have any UMass connections with your fantasy football team. The Arizona Republic has an interview with former UMass QB Jeff Krohn. I have his UMass #7 game jersey. Craig Haley of The Sports Network previews the Missouri Valley Conference. JB Scouting ranks UMass' John Griffin 9th in FCS positional rankings behind William & Mary's Jonathan Grimes, Villanova's Arron Ball and Stony Brook's Ed Gowin. Only Tyler Holms (third team) makes Josh's preseason FCS All-American Team. His preseason conference awards are here. The CAA website previews the Richmond Spiders. Matty Vautour says UMass' media agreement with CBS3 is kinda a big deal. WSHN-TV has another story on the UMass digital sports availability. Video Sports Group has more details. Matty also has a story about UMass' starting safeties Darren Thellen (RS SO 6-2 200) and Shane Viveiros (RS JR 6-0 220). Matty says Kumar Davis, James Carven and Christian Birt will see some reps. The Virginia Gazette says William & Mary has depth on the offensive line. The opening game against the Tribe will feature one of the best offensive line and tailback combinations in the nation. UMass and William & Mary should have very good O-lines and John Griffin and Jonathan Grimes are the two best TB's in the league. USC transfer Aaron Corp has been named the starting QB at Richmond. The Sports Network previews FCS independents. The City of Philadelphia is requiring bloggers to have a $300 business license if they have advertising on their blog. One blogger received a demand letter from the city even though he made a grand total of $11.00 in two years. As usual, the CAA is receiving a ton of preseason honors. Good Morning from Santa Fe. Today is our last full day of vacation. We will be flying back to Manchester Airport tomorrow morning. The next flight after that will be to Ann Arbor to see the Michigan game. Hopefully, both my UMass season and Michigan tickets will be in my mail when I get home. UMass has formed a partnership with CBS3 to broadcast 100 UMass athletic contests (including home football games with Holy Cross, Richmond and Delaware). The availability of Minutemen sports should increase UMass' presence in Massachusetts. I wonder if the cable channels mentioned are available in Boston? Former UMass QB Octavious Hawkins has been named starting QB for the Winston-Salem Rams. The Rams went 1-10 playing a FCS/I-AA schedule last year. They will drop to a DII schedule in 2010. The CAA is counting up from the bottom in its preseason previews according to the team rank in Media Day voting covers UMass. The CAA had four teams ranked and four in the top ten in the first 2010 FCS Coaches Poll. The Minutemen received 24 votes to rank 34th from the top. William & Mary, the Minutemen's opening opponent was ranked 4th. The Leigh Football Nation Blog looks at football blogs in the Northeast including this one. The Patriot and Ivy leagues each have four fan generated and one commercial football blogs. Several CAA teams have message board sites, but AFAIK, the UMass Football Blog is the only active CAA fan blog. Kyle Harrington and Sean Smalls are in training camp for the Hartford Colonials. Good Morning from Chama, New Mexico. The UMass website has a full report on Saturday's scrimmage. They also have four links about Jeremy Horne's making an impact with the Jets. The Berkshire Eagle has another report on Cruz and Randolph. UMass' first foe William & Mary has a fall training camp site here with reports from their August 21st scrimmage, interviews and image galleries. Speaking of the Tribe, this Bleacher Report writer says they don't have a chance against North Carolina. He apparently does not remember what the Tribe did to Virginia last year. The CAA Blogger has reports from all around the League about this weekend's training camp activities. They also have a Rhode Island team preview. Another article about Villanova's Matt Szscur making difficult choices easy. Craig Haley of The Sports Network has a preview of the Big South league including UMass' 2010 OOC opponent Stony Brook. Image by me of the Durango & Silverton narrow guage railroad. 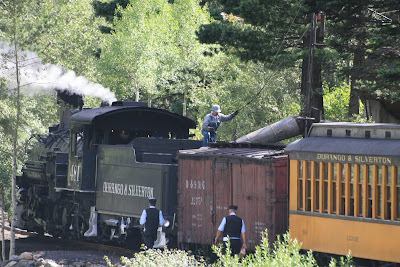 We are off (no comments), to the Cumbres & Toltec railroad in New Mexico. I'll keep the Blog going if I have an internet connection. If not, I'll be back Wednesday. UMass foot held a scrimmage Saturday morning. Jeremy Horne caught a TD pass for the Chiefs. More on Victor Cruz and Dominic Randolph from the Berkshire Eagle. Victor was held to two catches for 30 yards in the Steelers game. The Giants want to see more of Cruz. He's also going to return punts and kicks. The Flat Hat looks at William & Mary's QB situation. Matty Vautour on the kicking/punting competition between Caleb Violette, Brendon Levengood and Igor Garcia. Victor Cruz is still getting tons of ink. Victor is an instant success. He's moving up the Giants depth chart. Cruz is pushing for the #4 or #5 receiver slot. 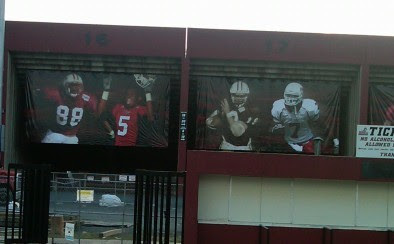 More on the new player banners at McGuirk. Pretty good choices for the players in the Blog's opinion. Who would you have added? 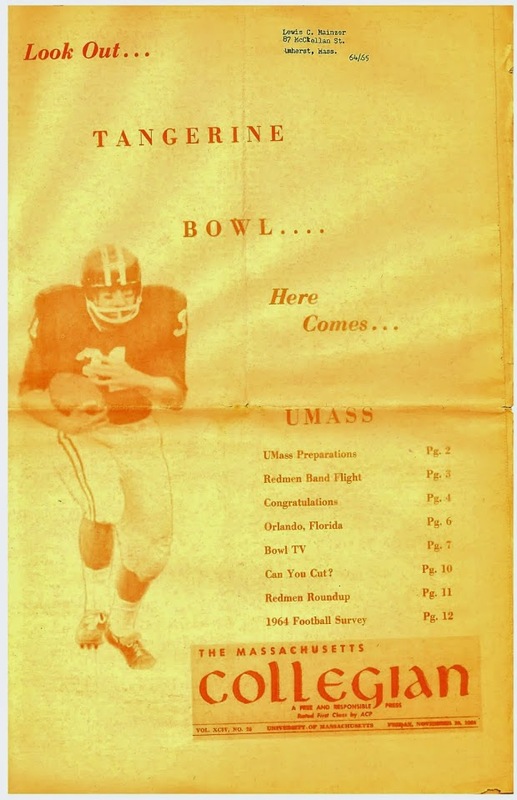 UMass fans have been fortunate with their radio broadcast teams. The UMass football broadcasts have won multiple awards for quality. Now Rene Ingoglia has been chosen to do an ESPN game. The Sporting News previews the CAA and picks UMass ninth. Former Holy Cross QB Dominic Randolph joins Victor Cruz with the NY Giants. The Washington Examiner has a list of new schools playing football. Emil Igwenagu was unanimously voted captain by the UMass football team. MassLive.com says UMass alumni are making their mark in the NFL. Pro Football Weekly says Victor Cruz is no one game wonder. The UMass website has a story about banners being added to McGuirk stadium. The UMass Football Blog notes and approves how there is something being done each year to improve McGuirk. Kudos to AD John McCutcheon. Matty Vautour features new UMass back (but not new to the CAA) John Griffin. The Sentinel and Enterprise says local talent fuels UMass. The same newspaper relates how former Oakmont stars have reunited at UMass. A Michigan-centric newspaper takes note of John Griffin's potential. The CAA website profiles the Towson Tigers. The CAA Blogger has the latest news from league training camps. Today is Kyle Havens birthday. The Berkshire Eagle says Havens can feel the support of the team. WWLP22 says Griffin could be a game changer. The UMass-UNH tilt will be known as the Colonial Clash. Longer article from the UMass website. The Giants Football Blog refers to Victor Cruz's performance as "Surreal". The "Big Blue View" says Cruz was mobbed by the media. Villanova is thrilled to have Matt Szscur back in pads. The Bleacher Report says for the ACC, any game any game against the CAA is one of the most important games of the season. MassLive has a story about Havens being named the starting QB and other training camp news. MassLive also has an article that says the UMass team feels united. Seeing I'm on a tighter schedule, here's a link to a Google search about Victor Cruz's monster day. I don't have time to look at most of them like I usually do. He certainly made a media impact. Matty Vautour says he was on Cruz control. I've blogged before about UMass recruit Delaire. The Hartford Courant says he's up to 6-4 235. Yesterday was the first UMass Media Day I've missed in a while. No media guide also makes a hole in my collection going back to 1980. The Boston Herald say UMass is glad to have ex-Huskies. I'll try to do some more work on the blog this evening. We're off to Mesa Verde National Park. 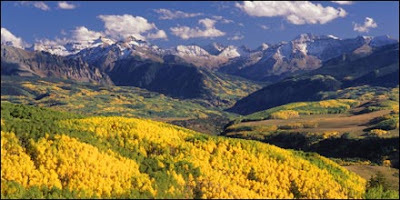 Dear readers, Mrs Blog and I are taking a late summer vacation to Durango, CO. We're going to be riding some narrow gauge railroads, taking in some National parks and other places in Colorado and New Mexico. We'll be out west for eight days. 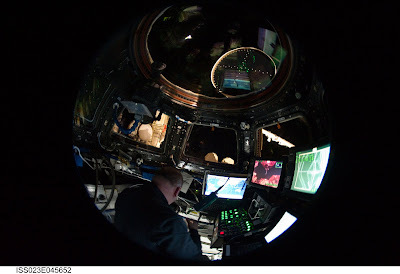 As usual, I will try to keep the Blog going, as long as I have a internet connection. If there are no updates, then you know I've fallen off the grid and the Blog will be back in action on 25th. Because of the time difference, blog updates will probable be later in the day. A couple of days we have early morning activities and there might be little or no activity on the blog until evening. UPDATE: Good evening from Durango. Looks like the UMass football blog will be able to publish most days. Woah! Victor Cruz torched the Jets. NY Times says Victor shone. MassLive says Cruz lit up the night. Rotoworld says Victor was huge. SB nation says that was the most TD catches by a Giants receiver in preseason since 1998, which was a pretty good year for us, as you remember. UMass beat writer Matty Vautour has a story that says Kyle Havens is the starting QB right now. MassLive also reviews Jeromy Miles big hit on Tim Tibow. Keepers College Football rankings (home page) have his first news of the season and guess who is #9 in his ratings for 2010? Keeper is the first pundit to give UMass some respect this year. He's probably reacting to the four potential new offensive starters the Minutemen acquired off season. UNH probably has the most right to comment, but something tells me Delaware fans (as usual) will do most of the complaining. More updates from UMass training camp with video interview Coach Morris here. UMass has big increase in their radio coverage as they add WWZN to the 2010 network. This should be a big boost for the Minutemen in the Boston market. WWZN should bring UMass football, basketball and hockey to the biggest concentration of fans in the state. There are lots of Mass expatriates in southern Maine and New Hampshire and 50,000 watts should really help Minutemen fans in those states. The first football show of the season will be at 7:00 pm on Sept 2nd. Now if UMass could only add a station in the Berkshires (there are a lot of UMass fans out there), our coverage in state would be complete. More updates from the CAA Blogger here and here. UMass beat writer Matty Vautour has a feature article on Emil Igwenagu. Too bad the UMass biology dept can't clone Igwenagu. I'd like to have him at both FB and TE. Matty also has a story about tonight's Jets-Giants game, which will have three UMass alumni playing: Victor Cruz, James Ihedigbo and Vladimir Ducasse. Matty's on a roll with his All-UMass Transfer team. If he ever does an All-Juco team, he should start with Todd Bankhead. 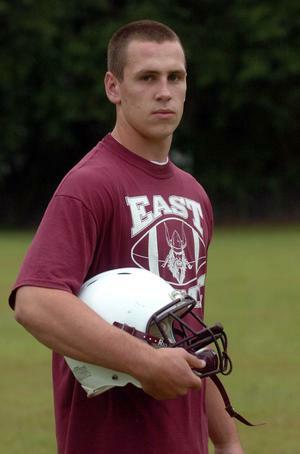 The EagleTribune has an All-Decade team, which includes former UMass fullback Kyle B. Harrington (2004,2005,2006). NESN has a blog question: "Does UMass have a football team?" MACON.COM has an article about former UMass WR Neal Brown and current Texas Tech OC (mentioned in Vautour's All-transfer team). The CAA blogger has news from Saturday's league training camps. Catching up the the player countdown. Wearing #19 for UMass this year is Woody Carter IV, a 6-1 175 pd DB from North Laurel, MD. Carter played in 7 games in 2009. He had 3 UT 1 AT 4TT. Victor Cruz says he wants to "kick the crap out of the Jets". Another story mentioning Cruz here. 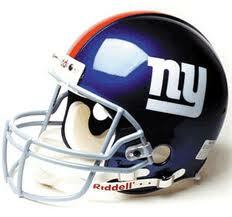 The Giants and Jets play tomorrow on Monday Night Football. Yesterday's edition of the CAA Blogger's post on league training camps here. The Big Sky says they have the best FCS TV package. This article from the Boston Globe features former UMass assistant coach (1978-90, 1992-93) and current Boston College Bill McGovern. A Kennebec Journal write says the CAA is where Maine should be. The SWAC's preseason Defensive Player-of-the-Year is Christian Anthony. He suffered a heart attack in Grambling's training camp. Hope he fully recovers. The UMass website has a photo gallery from Friday's UMass practice session. Sr LB Mike Mele wore the blue honor jersey for that pracitce. Included is a video interview with Tom Gilson, a 6-3 210 pd RS JR WR. Wednesday I did a blog post on UMass offering to Manny Asprilla. Yesterday he signed with Boston College. The new Holy Cross Football Blog "Chu Chu, Rah, Rah" has a preview of the Crusaders-UMass game. Villanova's Matt Sczcur will get a total of $600,000 in bonuses if he signs with the Cubs before the 2011 NFL Combine in February. The Detroit News says Michigan's Rich Rodriguez is on the hot seat this year. Craig Haley of The Sports Network previews the Ohio Valley Conference. The CAA blogger is busy with Friday's CAA training camp news . The league is running a contest to win CAA teams mini-helmets. Today is twenty-one days until the season starts. Wearing #21 for UMass is Kirk Nelms, a 5-10 180 pd FR DB from Spotsylvania, PA. Nelms is a 2010 recruit. UMass Senior WR Dan Sheeran, 6-3 211 WR is the subject of this video interview on the UMass website. Coach Morris explains the significance of the blue practice jersey Sheeran is wearing. The NY Times has a feature on Vladimir Ducasse' s battle for a starting guard position with the NY Jets. The Wall Street Journal has a Giants training camp article that has a lot of good things to say about Victor Cruz. Josh Buchanan scouts the CAA for this year's NFL prospects. Two UMass seniors he considers are RB John Griffin and OL Greg Niland. Buchanan's top two FCS NFL prospects are both from the CAA: Villanova's Ben Ijalana and Delaware's Pat Devlin. ESPN has a nice article about future CAA member Georgia State Football. Catching up on the player countdown. Wearing #23 for UMass is Shane Viveios, a 6-0 220 pd RS JR DB from Fall River, MA. Shane played in 8 games in 2009 and started 4. He went 15 UT 14 At 29 TT 2.0-5 TFL 1-25 INT 5 BrUp and 1 Blkd Kick. Viveiros should start in 2010. Today is twenty-two days until football. Wearing #22 for UMass is Jonathan Hermandez, 5-11 190 pd RS JR from Leominster, MA. In 2009, Hermandez played in 10 games and started 4. He went 121-609 4.8 AVE 8 TD 58 LONG 57.7 AVE/G. A Lori Van Buren/Times Union image. Former UMass WR Victor Cruz impresses Tom Coughlin. The NY Daily News says rookie receiver is on Cruz control. 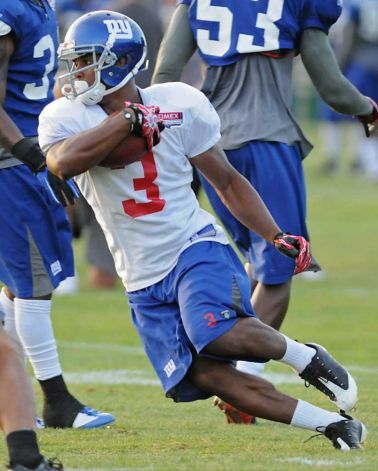 The NJ Star-Ledger says Cruz had a breakout practice. The Giants Football Blog (Hmmm, some people obsess enough about a single team to write a blog about it. Who would have guessed?) says everyone from the grounds crew to coach Coughlin is talking about Victor Cruz. The Albany time-Union says Cruz is getting noticed. The UMass football roster adds another revision as Calvin Belfon, 5-8 185 pd WR from Dean JUCO joins the active squad. Old Dominion is prepping for their second season and their first meeting with a CAA team. This article says win-loss ratio trumps strength of schedule. North Dakota State will have an interesting 2011 schedule. Besides their conference slate, they will also play Georgia Southern and Lafayette. UMass has offered to Manny Asprilla a 5-10 155 pd athlete from Everett, MA. Asprilla just picked up an offer from Boston College. He already holds an offer from UNH. Also interested are UConn and Fordham. Roger Brown, the northeast ESPN recruiting blogger, has a stub article about Asprilla here. Matty Vautour has more news from training camp including eight Minutemen who joined the 400+ pounds bench press club. Vincent Westcarr put up 430 pounds to win the contest. Galen Clemons, Courtney Jackson, Stephane Milhelm, Josh Samuda, Brian Ostaszewski, Brendan Potvin and Brandon Flanagan also lifted 400 pounds or more. Video of the bench press session here. Jamar Smith is now wearing UMass' tradition heavy #5 jersey. The CAA Blogger has the latest links to CAA training camp stories. William & Mary supplies a little early bulletin board material. They consider their schedule bottom heavy. A pretty good human interest story about Jimmie Costello, a PA running back that was planning to play for UMass. WWLP22 has a story about Vladimir Ducasse. UNH faces a bumpy road to the playoffs. The Sports Networks' Craig Haley take a look at the 2010 Ivy League. The History of UConn----the FCS Years (with lots of UMass references). Today is twenty four days until William & Mary. Wearing #24 for UMass this year is Mike Delaney, a 6-3 220 pd FR RB from Foxborough, MA. Mike is a 2010 recruit. Nick Speller a 6-5 RS SO transfer from Syracuse. Was a ten game starter for the Orange, Phil Steele Big East All freshman team. James Lizotte, a 6-3 215 SO transfer from Holy Cross. Was a member of a number of All-Star teams. National Honor society. Seems to be a good Mass pickup. He will have to sit out a year as a lateral transfer. Mike Kahale, a 6-2 235 OL from Marlborough, MA. He's probably destined for the defensive line. Honor society. Several All-Star teams. Jeff Skoog, a 6-6 330 FR OL from Hudson, MA. Two year All-league. Honor Society. Has Pro size. Ryan Delaire, a 6-4 225 pd FR LB from Windsor, CT. All-Conference, Honor Society. Has I-A linebacker size that we rarely see. In addition, Brandon Flanagan has been moved to DL. UMass needs bodies on the defensive line and Flanagan has the size to help out. At the Friends of Football banquet Coach Morris mentioned a DL transfer from Temple, so roster revisions may not be complete. This article from the Boston Herald say UMass has offered to Catholic Memorial juniors Armanti Reeves and Camren Williams. Reeves is a 5-11 180 pd WR/DB. His Scout.com page here. Highlight film here. Reeves also has offers from UConn and Penn State. Williams is a 6-2 190 pd WR/DB. His scout.com page is here. Matty Vautour has an article on the first day of training camp featuring Jullian Talley and receiving corps. Looks like Talley and Anthony Nelson will be the starting WR's and speedy Jesse Julmiste and senior Dan Sheeran seem the be in contention for the third wideout. Included is the news that Warren Wilson, Alphonsus Aguh and Cedric Gonnet are no longer with the team. TV22 News has a short article here. The UMass athletic site has a very cool training camp media page with updates and image galleries of the weight lifting competition, practice reports and more. Since I do a little powerlifting, I'd like to see the team bench press competition some time. The CAA blogger has reports from Maine and Villanova's training camps. Today is twenty-five days until the season opens. Wearing #25 for the Minutemen is Matt Campbell, a 6-1 230 FR LB from Attleboro, MA. Campbell is a true freshman this year. 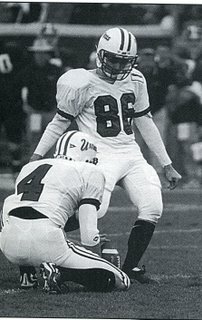 I recently received an e-mail from former UMass kicker Jason Cherry. He's still active in arena football. Jason is 89 points from 500 Career points in arena football. He's set single season points records for three different teams (Johnstown, Huntington and Fayetteville). He also had the first successful dropkick extra point in league history. His dropkick extra point is on YouTube. Jason is still tied for the most UMass PAT's in a post-season game (7 at Georgia Southern) in 1998. He is currently 3rd in UMass career PAT percentage (.681) and 4th in career PAT's made (79). Cherry continues to follow UMass football and is going to attend the Michigan game this year. I watched former UMass star Jeromy Miles play in the Hall-of-Fame game last night. Miles played on the kick coverage team and also got some work at DB late in the game. Apparently today's practice is open to the public. More and more college teams are going to closed practices. The reason? Twitter. The CAA blogger has training camp updates from Maine and Towson. Three of the top twenty players on the Buck Buchanan Award Watch List play for the Richmond Spiders. It's good being National Champion. Villanova signs a top QB out of North Jersey. Today is twenty-six days until William & Mary. Wearing #26 for the Minutemen this year is Thad McCummings, a 5-10 205 pd RSFR DB from Natic, MA. McCummings had a redshirt year in 2009. I believe the UMass Football team reports today with the first practice tomorrow. The CAA football Blogger has updates on a number of CAA teams who start their training camps this weekend here. An alert reader pointed out a neat UMass coaching connection. When Coach MacPherson was HC at Syracuse, one of his assistant coaches was Clarence Brooks, who recruited current UMass OC Brian Picucci to play for the Orange. BTW, former UMass player and coach Ben Albert is now coaching for the Jacksonville Jaguars. Today is twenty-seven days until UMass' season opens. Wearing #27 for UMass is Darren Thellen, a 6-2 200 pd RS SO DB from Brockton, MA. In 2009 Thellen was the 8th leading tackler with 11 GP 7 Started 26 UT 13 AT 39 TT 1.5-5 TFL 1 INT 2 BrUp. UMass Football experiences are up for action on the UMass Web Site. Three different adventures including the William & Mary Coin toss are available. UMass RB John Griffin appears in the latest football video from the Athletic Dept. The UMass website also has a web album of UMass alums in the NFL. Check it out. Delaware loses a tight end. Mike McLaughlin, a Boston College LB with UMass connections, is making an impression at the Ravens camp. The CAA Blogger has updates from preseason camps at Richmond and Towson as well as a New Hampshire interview. CSI Londonderry NH: Rocky the goat has been captured. The Eastern Washington red turf web cam is here. Today is twenty-eight days until football starts. Wearing #28 for the Minutemen this year is John Griffin, a SR TB transfer from Northeastern. Griffin was 1st Team All-CAA in 2009. He rushed for 207-1009 yards. Had 25-178 REC. Griffin should be a huge addition to UMass football in 2010. Victor Cruz is the subject of this article from the Giants training camp. Matt Lawrence is eager to return to football after a knee injury at the Ravens camp. You remember that Clarence Brooks is still coaching with the Ravens. Vladimir Ducasse gets a mention in this article about the top 2011 non-BCS NFL prospects. Adam Nettina, who once wrote a guest blog post for the UMass Football Blog when we played Navy, has an excellent article from his new beat in the WAC. Adam is a talented sports writer. Craig Haley has an article in his "In the FCS Huddle" column: Delaware's Pat Devlin is unflappable. Former UMass HC Jim Reid is the current DC in Virginia. This story talks about his days in Boston College. Terrance Thomas of CSN is back with interviews of Micky Matthews and K.C. Keeler from CAA Media Day. Today is twenty-nine days until the 2010 season starts. Wearing #29 for UMass this year is Ryan Carter, a 5-11 180 pd RS FR DB from North Laurel MD. Carter had a red shirt year in 2009. Former UMass RB coach (1998-03) Mike Cassano has rejoined Mark Whipple at the U. Cassano is also mentioned here. Maryland DC Don Brown and UMass get several mentions in this article about Maryland playing the Navy option. Andrew Gaddess of The Sports Network says the Northeast Conference is inspired by the coming of playoff eligibility. FCS/I-A football gains another FBS QB transfer as former LSU signal caller Chris Garrett transfers to Northwestern State. The CAA Blogger starts his coverage of summer training camps for the league teams. The UMass Online Store has a number of new UMass Football items. I'm picking up a couple of those "UMass Football" decals. Today is thirty days until football opens (1 month!). Wearing #30 for UMass is Igor Garcia, a 6-1 180 pd FR K from Medford, MA. Garcia is a 2010 recruit. "He completed 214 of 399 passes for 2,243 yards, 22 touchdowns and 12 interceptions. He broke school records for touchdown passes in a game (five) and passing yards in a game (432) along the way. He was an all-league selection in the Southern California Football Association." UPDATE: The UMass athletic website has a video profile of Shultis. See below. It might not fit well with Blogger, but what the hell. And no snarky comments about his goof on the school colors. I'm sure his new teammates have already pointed that out. Craig Haley looks at the Patriot league and the advent of scholarships. Interesting about the quote that Fordham going scholarship football won't add a cent of actual expenses. I have a tape of the UMass-Lafayette 2007 playoff game. In a post game interview, the reporter tells the Leopards coach that he should be proud of the effort against a scholarship team; he replied "Oh all our kids are scholarship players too, they just call it something different." The Boston Herald has a story about greatness in Groton. The Big East is developing plans for its own TV network. At the end of the article it says there have been discussions about Villanova making the jump to FBS/I-A football. Wow! The Wildcats would have to make a major investment in football for that to happen. Unless the league would help, it would be difficult for Villanova to come up with the needed about of cash. Thirty-one days until football. 2010 recruit Edward St. Vil, a 5-11 175 pd FR DB from Miramir, FL will wear #31 for the Minutemen this year.